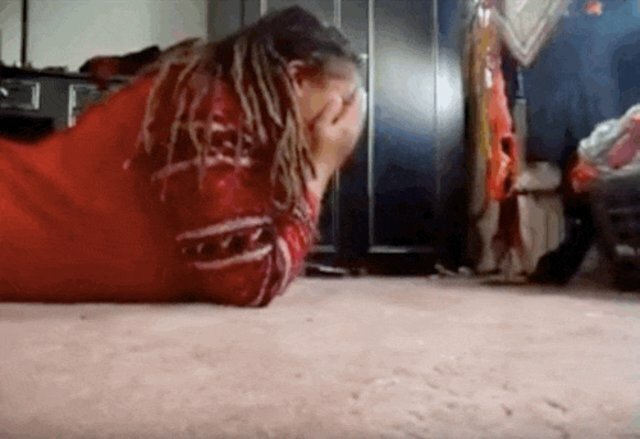 A video from a few years ago shows a girl playing peek-a-boo with her pet rat, and the little guy couldn't be any more excited. Every time she hides her face, he just can't wait to see her again. "Oh my gosh you are you are you are you are you are!" 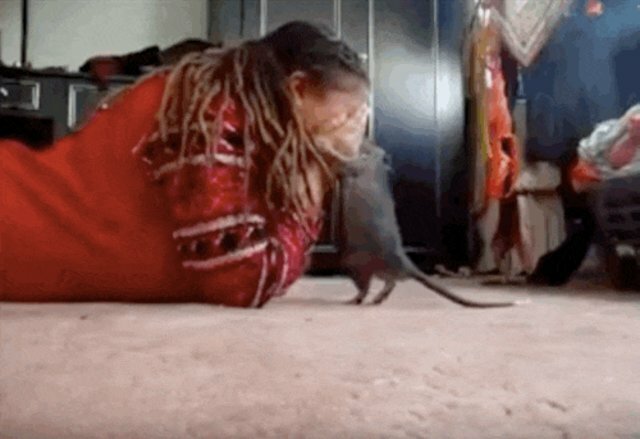 Despite popular prejudice, rats make incredible pets - they're intelligent, kind and, as this video shows, tremendously fun to play with. 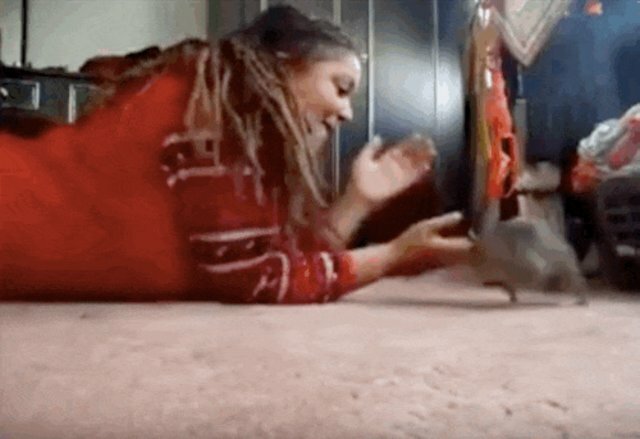 You can watch the video below to see the full bouncy experience, complete with a rat cuddle session. And if you're tempted to go out and get your own ratty friend, just remember to look into adoption first. 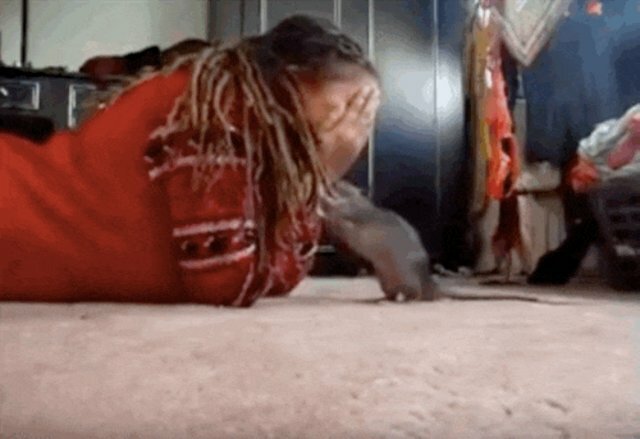 If you need more rats in your life, here's a video of a rat eating spaghetti.